Home > Employment Law > When Do You Need a Discrimination Attorney? When Do You Need a Discrimination Attorney? Posted on: March 13, 2017 By: Christopher Brown, Esq. You know when you are being discriminated against: it’s that pain you feel when you hear those side comments. They hurt you to your bone, and you dread going into work that next day. Or it’s in the injustice of another unfair paycheck compared to your coworkers, or it’s in how much work you are doing versus how you’re being treated while trying to do your best. Federal, state, and local laws prohibit discrimination due to your age, race, color, national origin, gender, sexual orientation, religion, level of ability, or genetic information. The Americans with Disabilities Act (ADA), Title VII of the Civil Rights Act of 1964, and the Genetic Information Nondiscrimination Act of 2008 have all worked to move forward these protections in order to ensure individuals’ rights are protected in the workplace and around their communities. If you feel you are a victim of discrimination, it is vital you speak with a discrimination attorney in order to best represent your case. An attorney will help you file a complaint of discrimination with your state or federal agency before you continue to challenge your employer in court. Lawsuits regarding discrimination are subject to two limitations: the total number of employees in your organization (employee pool) must be at fifteen or more employees, and the act of discrimination must be reported to the appropriate authorities within 180 days. 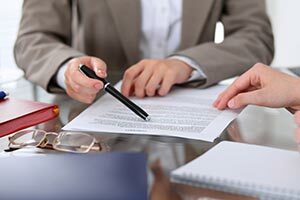 The most effective first steps to filing a suit is collecting documentation. Put your complaint in writing and follow your company’s discrimination policies as best you can. Make sure to keep records of the dates, times, and instances of abuse. Keep copies of your records. As the victim of harassment, you must follow due diligence to ensure a successful case. If you have followed these steps and still receive discrimination, an attorney can determine your potential claim and give you the best practices for moving forward. From first contact, your attorney can file a discrimination charge at a state or federal agency, as well as send your former employer an official letter that explores an immediate settlement, to avoid a lawsuit in full court. Focus on taking notes and absorbing information from your attorney about the process. The United States government’s anti-discrimination laws include instances of discrimination based on age, race, color, national origin, gender, sexual orientation, religion, level of ability, and genetic information. However, not all unfair work practices are considered discrimination. An attorney can help determine your protected class and the benefits you should receive. Being part of a group protected by the law is not enough to sue based on discrimination. Was the series of negative performance reviews that leads to a denial of promotion due to age discrimination or the speed of work? You must be able to prove intent, that the unfair treatment was directly tied to your protected status. An employment lawyer can help you figure out whether your employer’s conduct was an adverse employment action constituting discrimination. Proving intent is one of the more-difficult aspects of determining discrimination. Collecting data and providing your attorney with recent, accurate information helps convince the court of your claims. A discrimination attorney can subpoena documents from your previous employer and take depositions from witnesses on both sides of the suit. The most important benefit of hiring a discrimination attorney is their level of experience and professional judgement. Be sure to ask questions about all the facets of your case. In your initial appointment, your attorney will discuss the strength of your case and its evidence, as well as discussing the expense of discovery and trial. Ask your attorney about their pay rate and to describe any fees or hidden costs you might incur during your discrimination case. Your lawyer will also be able to estimate the variety of damages you can recover if you win, and give you updates to how the case proceeds, so that you can make informed decisions about your suit. Completing the process of filing a complaint and meeting with a discrimination attorney can offer resolution to a fundamentally hurtful and painful experience. This may come through the initial filing, to attending and testifying at trial. This may come through a verdict and restitution. a discriminating factor. This could include restitution, compensation for other non-wage benefits, and loss-of-income. Other forms of possible restitution include punitive damages, medical expenses, or compensation for time worked. However, the main lessons learned through listening to your discrimination attorney is, by following the legal process, you can move on from negative and harassing behavior in the workplace. You don’t have to work in a hostile environment. You don’t have to take the stress and pain d workplace discrimination. 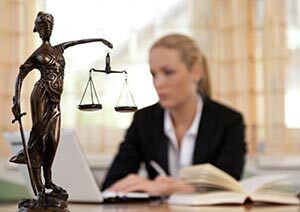 Whether you receive an alternative resolution or find yourself with a financial settlement that allows you to move forward in your life and achieve more in your professional career, only a lawyer can act as a third-party, checking your time limits, negotiating with the other side, and providing the evidence to win your anti-discrimination case.